April 16, 2019 - "Find a format that you feel comfortable with -- one that works for you." I'm Samuel Otten, an associate professor of mathematics education at the University of Missouri. I host the Math Ed Podcast (www.mathedpodcast.com), which features interviews with math education scholars about their recent studies. Listeners are predominantly math ed researchers, teacher educators, graduate students, and practicing teachers. I started the Math Ed Podcast in 2012 when I got my first job as a math ed professor. 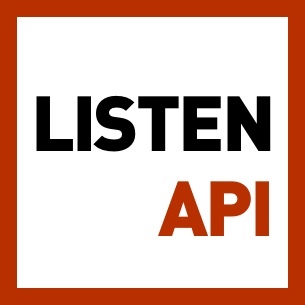 I wanted to use the podcast format to help spread the word about research in math education and to allow scholars to talk in a conversational format about what they were finding in their studies. I also appreciated that podcasts were free and easily accessible, contrary to most published research articles. I try to release two episodes per month and the workload is roughly 2 hours of prep, 1 hour for the interview, and about 2 hours of editing and producing. Luckily my employer is supportive of this effort to help disseminate research in our field, so I am able to work on the podcast in the office. I don't have any funding for it though, except for the occasional small donation from a listener. I have been self-funded from the beginning. I do not generate any revenue, but I have gained a lot of recognition in my field. The podcast now has well over 1,200 listeners per episode, which is a very large audience for our specific field of math education, and I have been recognized with a national award for Leadership & Service, predominantly because the podcast has helped spread our research and humanize our discipline. I use a Yeti microphone on my end and, when my interviewee is not face-to-face with me, I have them record themselves in whatever fashion is most comfortable for them. We talk on the phone, each recording ourselves, and then I synchronize and equalize the two audio files after the fact. I use Audacity for editing and I use Podomatic as my hosting service. I invite guests primarily by keeping an eye on new research being published in various academic journals in our field. In recent years, people will also approach me about being on the podcast when they have a new study coming out that they are excited about. To prepare, I read their article and send them a preliminary structure for the interview, but I take feedback and make tweaks based on what they want to talk about. I use my own social media to market the show, because many of my followers are from math education, and in the beginning I got some support and mentions from larger forces in math education (e.g., our professional organization). But primarily the podcast has grown from word-of-mouth throughout the field, and when guests come on, they then become nice advertisers for the podcast. Find a format that you feel comfortable with -- one that works for you, rather than something that you feel you are constantly struggling against. I also like having guests because basically they are the star of each episode, so they do most of the talking and I can just sit back and listen and facilitate. I don't have the pressure of generating all the content and ideas each month.